There are a lot of churches out there and if you’re not familiar with Christianity (or even if you are! ), it can be very confusing to know what the difference is between them. They all believe in Jesus Christ, but what they believe about Jesus and how He relates to God and people varies. Sometimes the differences are minor. Sometimes they are major. In this post, I want to explain extremely briefly what are the major Christian denominations and how they are different from one another. The three major grouping of Christianity in the world today are Roman Catholic, Eastern Orthodox, and Protestant. Under the umbrella of Protestantism, there are numerous Christian denominations that are different varieties of Protestant, such as Lutheran, Anglican, Presbyterian, Baptist, Methodist, and Pentecostal. However, if we rewind in history to the time just after Jesus died, there were no Christians denominations. There were just Christians. As time went on, however, people started to disagree about who Jesus was, what He wanted from us, and how churches should be led. The first major division in the church was in 1054 AD, when the church divided into the Roman Catholic Church and the Eastern Orthodox Church. There were lots of issues involved, but the major one was leadership. The church was led by five bishops in five cities who were equal to each other in authority. But the bishop in Rome thought that God wanted Him to have authority over the other four. They disagreed, thus the split. The bishop at Rome is now called the Pope. Protestantism was not a single denomination, but rather a movement united around similar beliefs about the Bible and salvation. About 500 years later, the Roman Catholic Church dominated Europe and had numerous problems. Some Catholics wanted to reform the moral life and theology of the Roman Catholic Church and protested against the abuses and corruption they saw. The Pope and the Catholic hierarchy thought that those protesting and calling for reform were dangerous rebels. These “rebels” thought they were faithful Christians who loved God and the church. But in the end, the two sides could not agree and these Reformers either left or were ejected from the Catholic Church. Because they protested Catholic errors, they became known at Protestants. Europe divided into Catholicism and Protestantism. Instead of the authority of the Bible, plus church tradition, plus the Pope. Instead of salvation by grace and good works. Those two points are the major difference between Roman Catholics and Protestants. What are the difference among Protestants? Here is a super quick list. Lutheran, some Anglican, Presbyterian, and Reformed churches all believe that God chose who He will save before the beginning of time, and God chooses us before we can choose Him. Methodists and many Baptists, however, believe God has only made salvation available and we need to choose Him first. Baptists, many independent or non-denominational churches, and Pentecostals believe that only adults should be baptized after they have made a decision to follow Christ. Lutheran, Anglican, Presbyterian, Reformed, and Methodist churches, however, are happy to baptize the infant children of church members. Speaking of baptism, Pentecostals also believe that Christians should seek a second baptism by the Holy Spirit. This is not done with water but is a spiritual experience that gives you additional power to live the Christian life. The words “Pentecostal” and “charismatic” are sometimes used interchangeably, but generally speaking “Pentecostal” describes various denominations that believe in the baptism of the Holy Spirit, and that miraculous gifts like speaking in tongues and prophecy should be part of the church today. Charismatics hold these beliefs too, but they are generally part of other denominations that wouldn’t necessarily call themselves Pentecostal. If you’ve followed what I’ve been saying so far, what’s next is slightly confusing. The Anglican Church (Church of England) is technically part of Protestantism and many of their churches believe and practice their faith like Protestants. But some of their churches are very Catholic in belief and practice, except that they don’t follow the Pope. And some churches today, especially Protestant churches in Western countries, have rejected a lot of their historic beliefs. The name “Presbyterian” or “Baptist” may still be on their church sign but they don’t necessarily believe the things that Presbyterians or Baptists historically believe. They are more interested in helping people improve their lives in practical and spiritual ways that may or may not have much to do with the Bible. I hope this quick overview has been helpful for you. 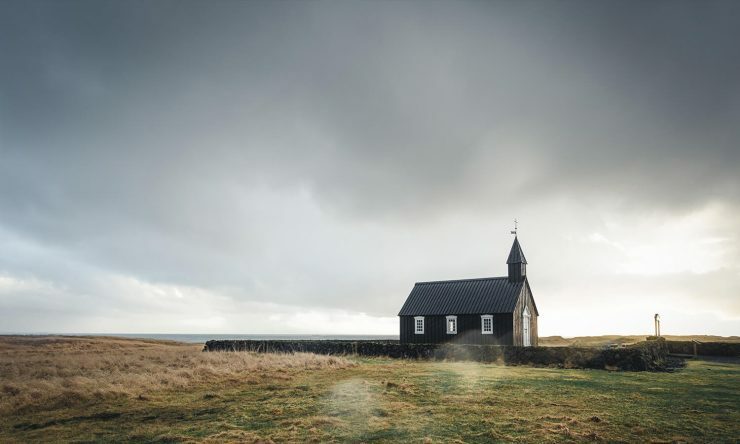 There are thousands of church denominations in the world, so if you want to know more, visit some different churches and ask various Christians what they believe. Keep learning! Also read What is the purpose of the church? Is the Roman Catholic church a Christian church?